Our view: Great value B&B - Ideal for exploring Deux Alpes on a limited budget! 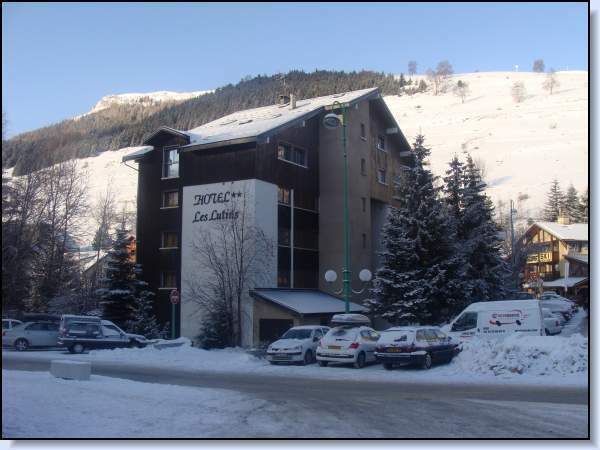 Conveniently located, the family-run hotel Les Lutins is 100m from the main Jandri Express lift & ski school meeting point, 50m from the ski bus stop. The hotel bar is a popular après-ski meeting point. 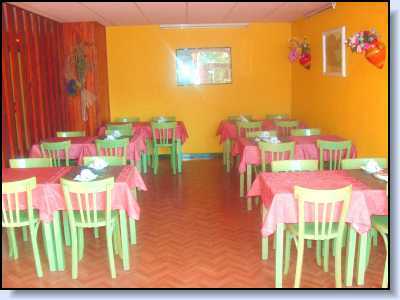 This simple and popular hotel offers great value and one of the best locations in Les Deux Alpes - in the centre of town close to the Jandri lift. The friendly hotel owner, Catherine, takes great care of all her guests, many of whom return year after year. The charming bar is the hub of the hotel, popular with guests and locals alike and has a great atmosphere, particularly after the slopes close. Les Deux Alpes is a very popular resort with the Brits. It boasts the largest glacier in Europe (at 3568m)allowing for year round skiing. The biggest attraction for boarders and freestyle skiers, and those that like a bit of pro spotting, is the world class snowpark found at the Jandri mid-station during the winter, and up on the glacier during the summer. Beginners and intermediates are well catered for with some nice motorway pistes, although there is only one easy run back down to resort which is sometimes shut when snow is thin on the ground. Advanced skiers should head to the La Fee area for testing black runs and to nearby La Grave for some of the best off-piste around. The resort itself is quite large and spread out, meaning it lacks that "village like" alpine charm. However, it does have a very good range of shops and restaurants, plus varied and lively nightlife. For non skiers, the hamlet of Venosc with its craft shops and cute eateries is walkable when there's not too much snow, or can be reached by cable car. Childcare is very good, so families are welcomed, but there is a lot of traffic in town, which may put some off. Overall, a lively resort and very popular with the young freestyle crowd and their followers, with La Grave and the glacier particular pluses and Grenoble Airport only 90 minutes away.